How are your brand campaigns performing against your non-brand campaigns? How are your experimental keywords performing? Do you have promotional ad copy that you’re closely monitoring? Do you have different bidding rules that you want to manage across your keywords? Labels are a simple and powerful way to make it easy to manage these situations and more, allowing you to create customized tags to associate with your campaigns, ad groups, ads or keywords. With labels, you can add detail and color to your reporting data so that you can accomplish more. For the next several weeks, labels will be rolling out to all Bing Ads accounts across the world. 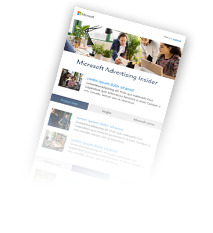 In Bing Ads online, you’ll soon see a new labels menu that will let you add and remove labels in the following tabs: Campaigns, Ad Groups, Ads and Keywords. In these tabs, you’ll be able to filter by Label to easily focus on the data that you’re looking for. Learn more about setting up your labels in Bing Ads online. In the Dimensions tab, you’ll soon see four new labels reports: campaign labels, ad group labels, ad labels and keyword labels. These reports will allow you to split your performance data by label. We’re also rolling out labels in Bing Ads Editor for Windows. After labels become available for your account, you’ll be able to manage labels for campaigns, ad groups, Expanded Text Ads and keywords. Stay tuned – support in the Mac version is coming later this year. If you’ve already taken the time to meticulously label your data in Google AdWords, you’ll also be able to bring in your labels whenever you import your campaigns from Google. No need to manually set them up again. 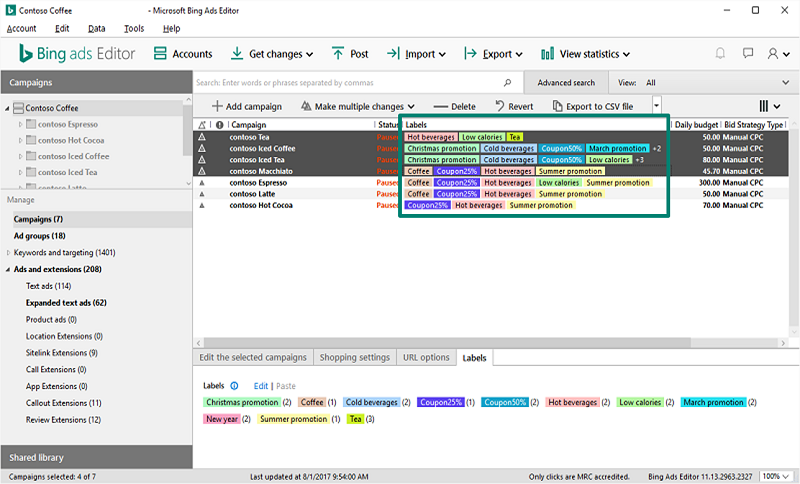 We’re introducing support for managing labels to the Bing Ads Campaign Management Service and Bulk Service. Learn more on our developer blog. What do you think about the new labels experience? Do you have a favorite way to use labels across your campaigns? Share your suggestions, tips or tricks with the Bing Ads community via Twitter or our feedback forum.